TRIPOLI — Mustafa Abdel-Jalil, the head of the rebel Transitional National Council and interim leader of Libya gave forces loyal to Colonel Muammar al-Gaddafi a four day deadline to surrender the areas they still control or face war. During the Arab Spring of February 2011, a movement against Gaddafi’s regime gained momentum and the 41-year ruling leader was forced out of Tripoli, the country’s capital. 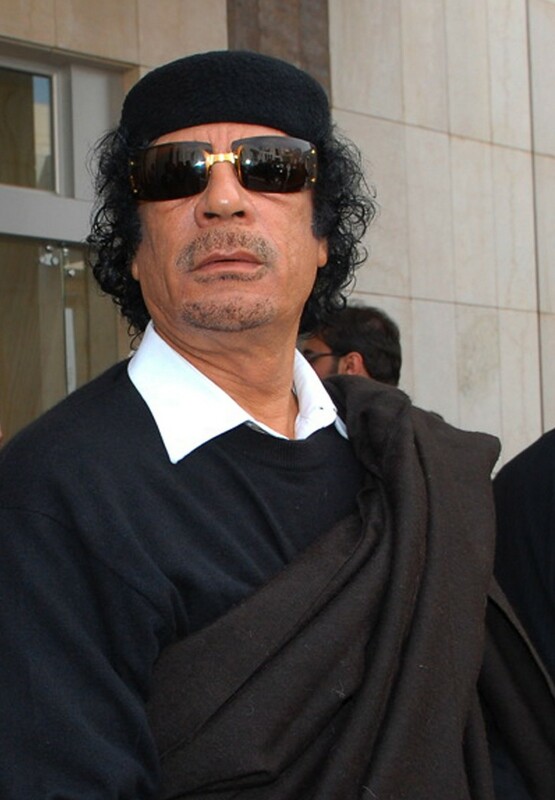 Gaddafi is wanted for crimes against humanity and faces prosecution by the international criminal court. “By Saturday, if there are no peaceful indications for implementing this, we will decide this matter militarily. We do not wish to do so but we cannot wait longer,” Jalil told a news conference. The past six months of fighting has resulted in over 50,000 deaths. Parts of Atlantic and eastern Canada were quite affected by Hurricane Irene and her post tropical cyclone. Reports say as much as 155 millimeters of rain fell in some parts of the country. There were also winds of up to 113 kilometers and hour. Irene hit five provinces leaving more than 100 thousand without power. New Brunswick was the hardest hit of the provinces. Most of the damage there was due to trees falling over and snapping power lines. Because of this many industries have lost business including farmers who have lost crops, and pharmacies who have lost medicines needing to be refrigerated. An 81-year-old Quebec man who was found two kilometers away from his cabin has died in hospital. Residents of the province of British Columbia have voted to repeal the 12 per cent Harmonized Sales Tax that was implemented by the Liberal government shortly after being re-elected into power. According to reports, 54.7 per cent of voters voted to get rid of the tax. While many are happy about this decision including NDP leader Adrian Dix who campaigned heavily against the HST, others say this repeal will cost the province billions. BC Minister of Finance, Kevin Falcon warned that the province was about to face weighty fiscal impacts by going back to the old GST/PST system. “We will work as quickly as we responsibly can to return to the PST. We have always been clear that, as the independent panel found, dismantling the B.C. HST and returning to the PST will take time to do properly,” he said. CHICAGO — Polygamist Warren Jeffs has been put under a medically induced coma after prison officials discovered that Jeffs had been refraining from food and water for several days. According to reports, Jeffs had begun starving himself since being sentenced earlier this month to life in prison for sexually assaulting two under age girls. He is in critical but stable condition and because of his history of fasting, is expected to survive. HOUSTON — Controversy erupted after a new national cemetery director at the Houston National Cemetery began enforcing a policy that prevents volunteer honour guards from including any recitations (including religious ones) unless families of the deceased request them. This new enforcement has angered some local veterans groups who have traditionally made many references to God during their ceremonies. They have filed a lawsuit against the Department of Veterans Affairs. According to John R. Gingrich, the Chief of Staff of the department, this policy does not prohibit families from having religious ceremonies for their deceased if they wish and sees no problem with this rule. “If the family wants prayers, the family will get them,” he said.